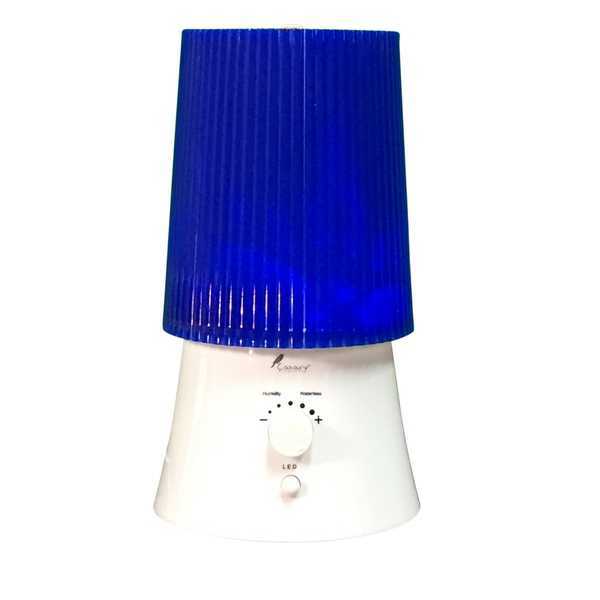 This beautiful blue humidifier is ideal for practicality and style. With the adjustable knob, you can set it to the perfect level of humidity for your house. It comes with a removable, easy-to-refill, 2 liter tank which can last you for hours and hours. The humidity can be adjusted with a knob from very low to very high. It also has an ON/OFF button in the back, where you can simply turn it off.